Mac: Siri's on the Mac now, but exactly why you'd use it is still a mystery for some people. How-To Geek points out that one handy thing you can do with it is easily pull up images, then drag and drop the results. Just invoke Siri, either with your keyboard shortcut or by clicking the Siri icon, then ask it so search the web for images of something. When the results come up, you can click and drag the image to the desktop, email app, Messages or just about anywhere else. 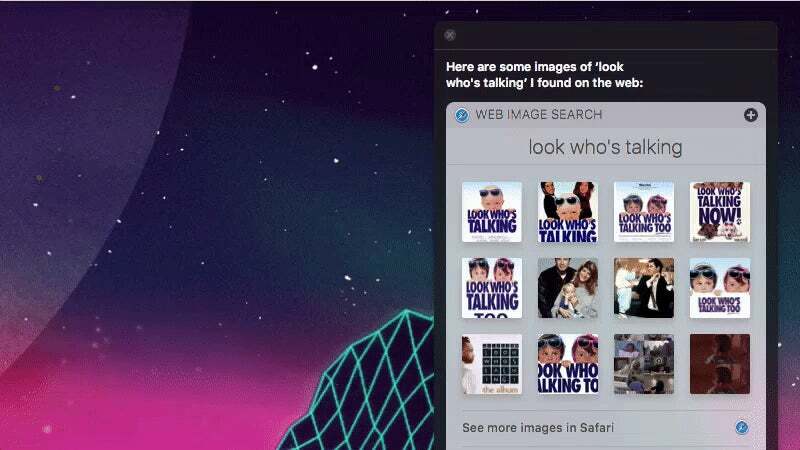 This makes it a pretty quick and easy way to search for an image without leaving the app you're using.